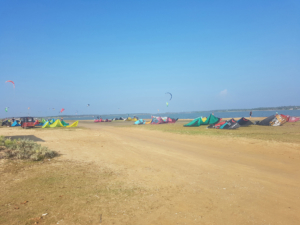 Kiteboarding Guide for Kalpitiya in Sri Lanka. Find all here, you need for your trip there. 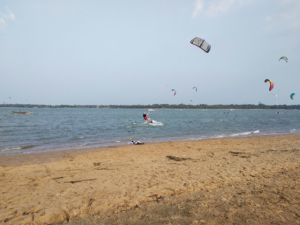 Kiteboarding in Kalpitiya – Sri Lanka. Your full Tourgide featuring the spots and all necessary information your are seeking for this adventure. Kalpitiya is a small little peninsula on the north-western part of Sri Lanka and very untouristic, but a spot with several nice kitespots around, white sand and flat water in lagoons and also the open ocean to ride in. 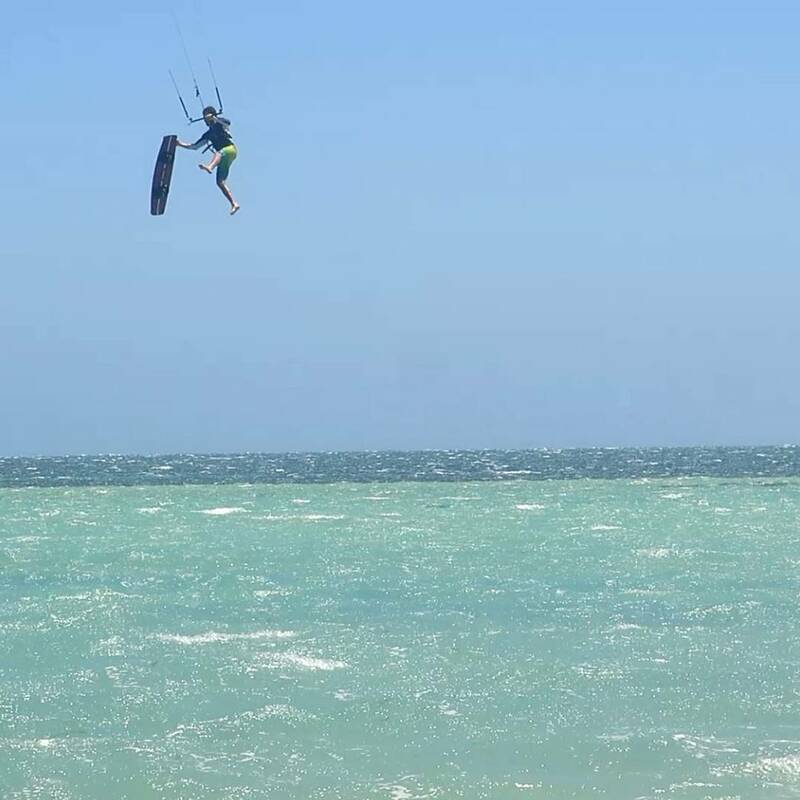 If there´s no wind, you can do other nice activities like whale watching, scuba diving, visiting a national park (with elephants, crocodiles etc). The food is also very tasty (and spicy, if you want to have that). Thanks to my kitebuddy David for providing all this information after his vacation in Sri Lanka. Also thanks to Anthony from kitesurfinglanka for helping out with details and local spot information. Some general impressions to start the review. 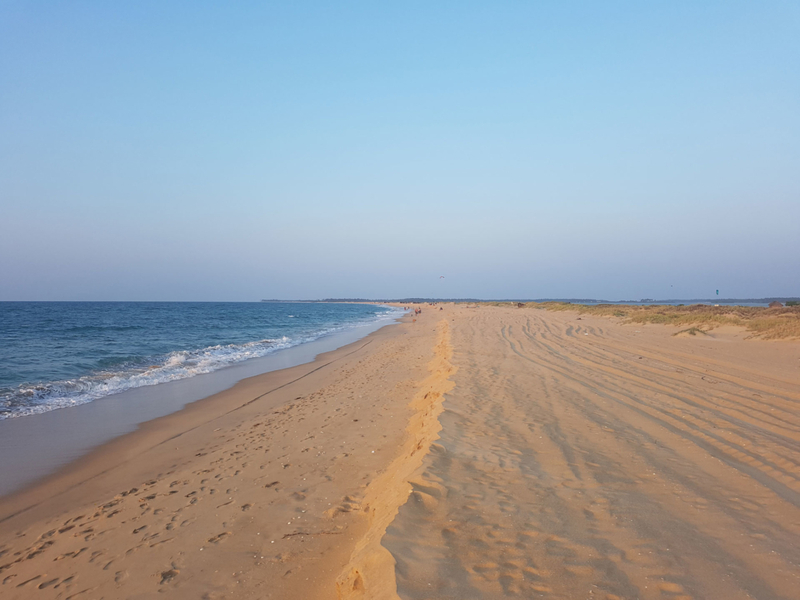 You have to think about in which location you want to live – if you want to be closer to Kappalady lagoon or closer to the Kalpitiya lagoon (Kudawa or closer to Kalpitiya village itself). In both locations you can find hotels/accommodation in every price class. Altough you can mostly kite right at a hotel you may want to check out more spots you will need a ride like Tuk-Tuk. So basically you decide by price and fancyness of the place you want. 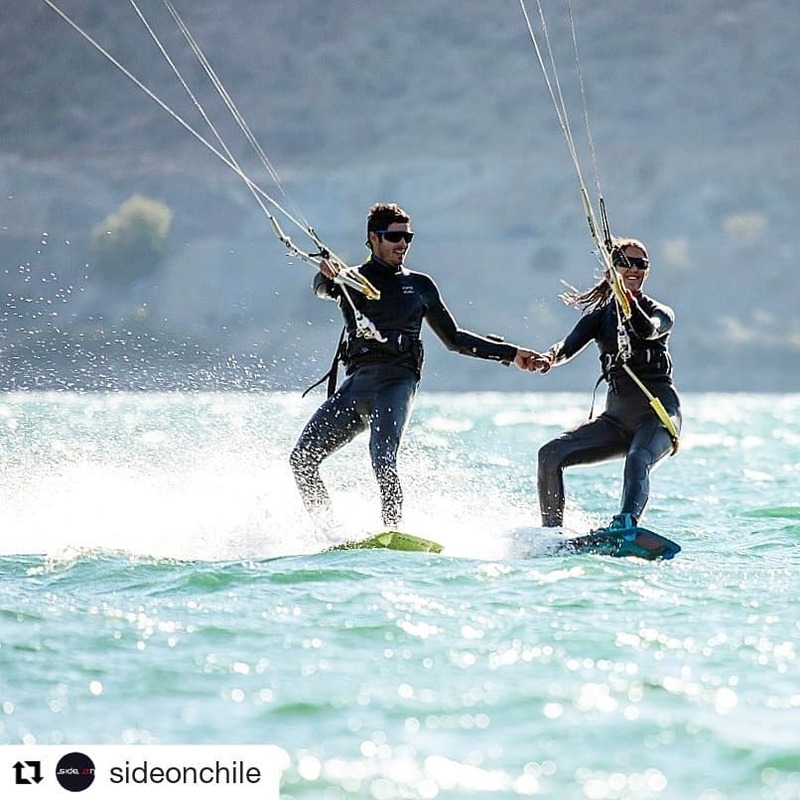 You find here from cheaper camp-style to fancy resort what you like and are most likely to meet other kiters at the venue. This are the places that my friend David visited and found nice. Of course there are much more hotels there that you can also browse >> here. 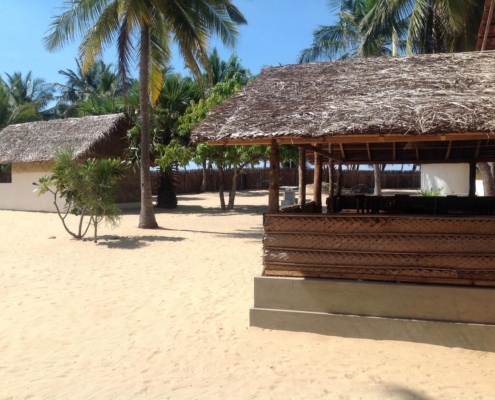 Is at the beach and includes Spa and Wellnesscenter. Wifi is free in public areas of the hotel. We recommended them as we were directly in contact and saw it and found it coolest of what we visited. It’s quite centered regarding the kitespots. So you can reach with your ride all spots quickly. They also have a small lagoon right in front of the Hotel where they teach. Was really nice when visiting. Also staff was really nice. Medium priced. Medium price range. Quite fancy venue. Also in quite the middle in between the spots. A bit cheaper then the medium priced. Directly at the beach. 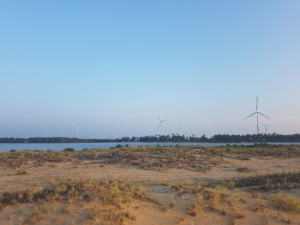 Very close to Kalpitiya Lagoon. All rooms have a terrace. Wifi included. Cheaper Category. This is where David stayed. 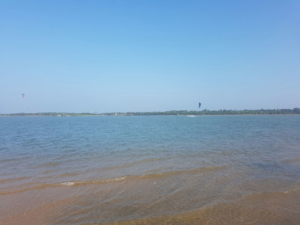 Quite near to Kalpitiya Lagoon. Camp Style, no fancy bling bling – reflected in price. Wifi is free. Some rooms have a terrace. But altogether a good fit. Again cheaper Category. Nice because directly at the beach. 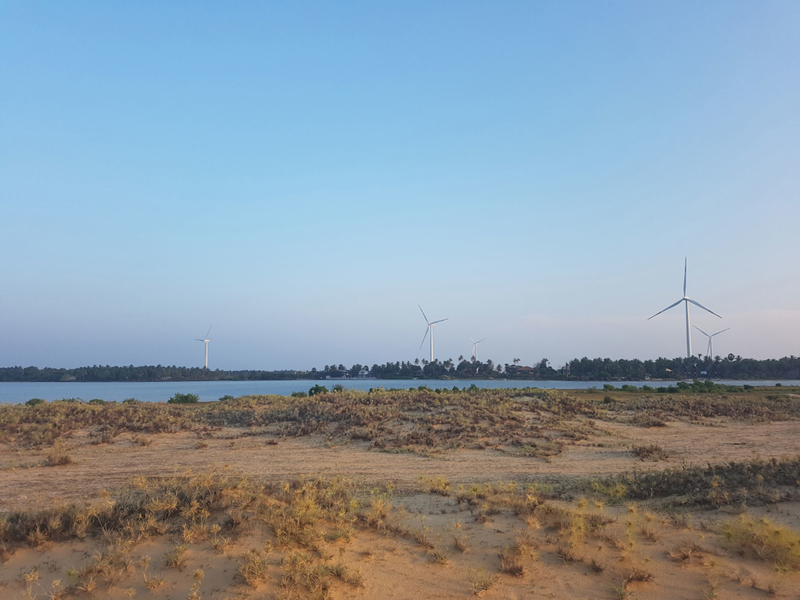 Close to Kalpitiya Lagoon. Free Wifi and very good value for price. More expensive but super fancy. 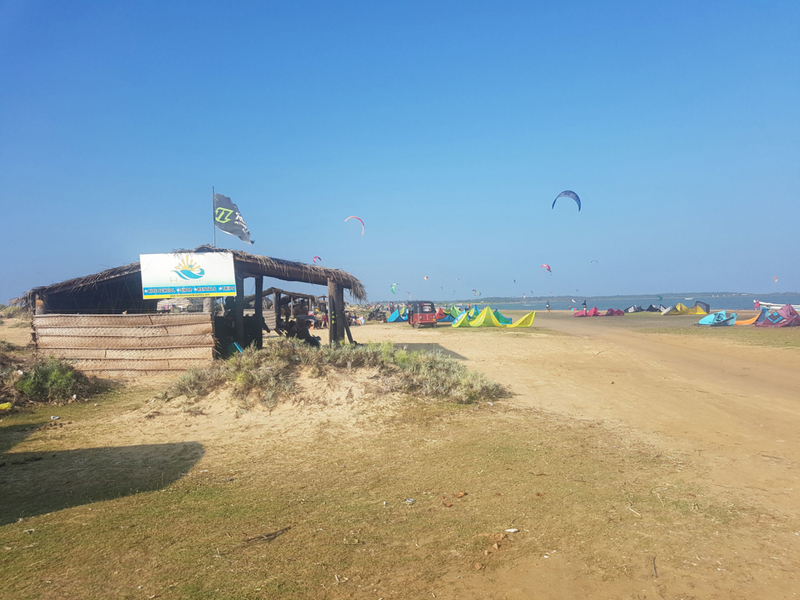 Located directly at the Kapaladdy Lagoon where you can kite directly without shuttle. It is a great resort with cool views, fancy pool and all you can imagine from a beautiful holiday catalogue. Also directly in Kappalady Lagoon where you can kite from the hotel (these are not featured here above as David didn’t visit them. But I recommend them because they are directly on the spot which is not the main spot. 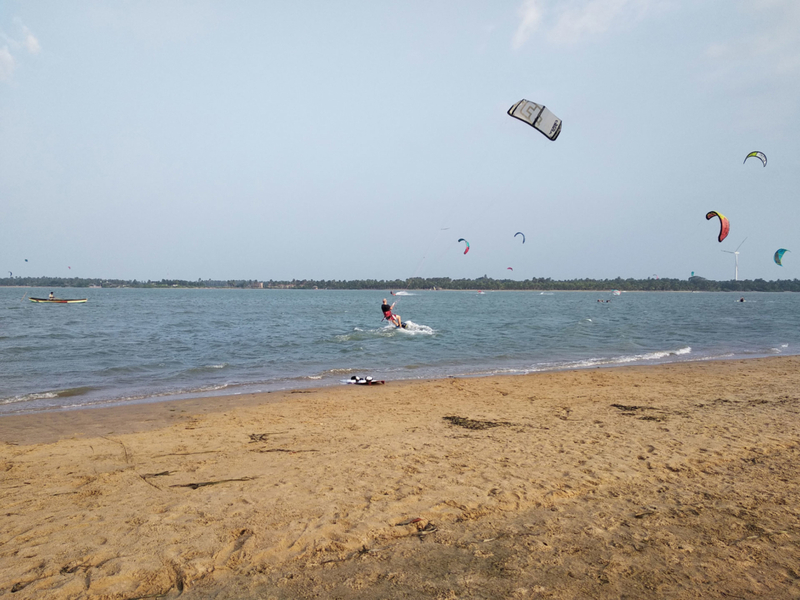 Kalpitiya is famous for Kitesurfing. If you look on booking.com you find about 25 venues with “kite” in the name. So there is much more. 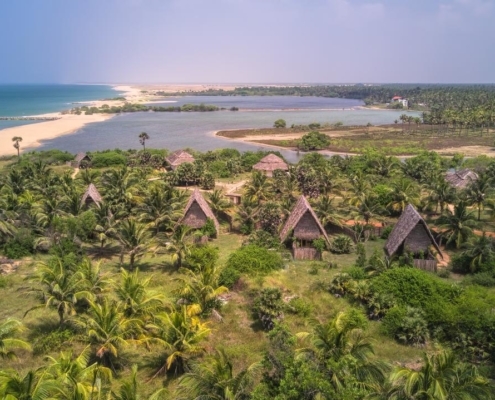 I listed here what David my friend visited and saw is ok and the 2 venues directly at Kappalady Lagoon as I found them really nice during my research. 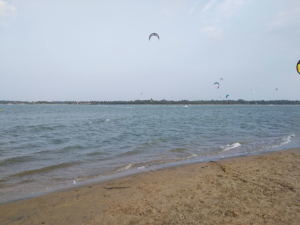 Also along Kalpitiya Lagoon you find lots of resorts. >> If you want to go through all hotels at this desination click here. The winter one is from November to March around. The temperature is around 25°c. You don´t need a wetsuit. The wind is stable coming from the North and blowing generally middle of the morning till sunset. Between 16 and 22 knots. 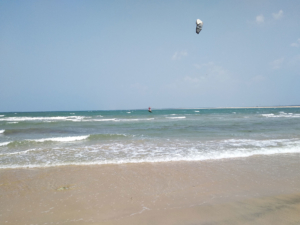 In the summer season the wind direction changes. 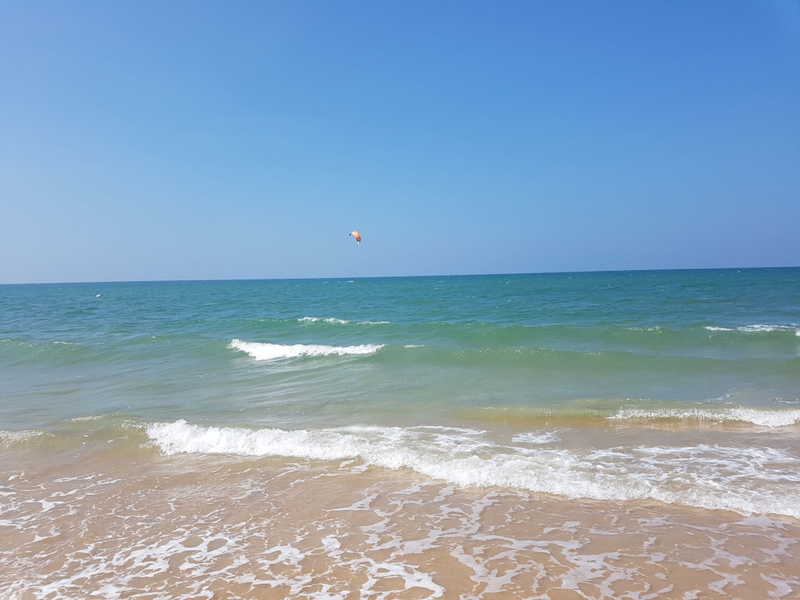 The temperature average is around 32°C. It comes from the south. It’s also stable and blowing all day. The average is quite same. Maybe a little bit more. Kites sizes for both season is between 7m and 12m. 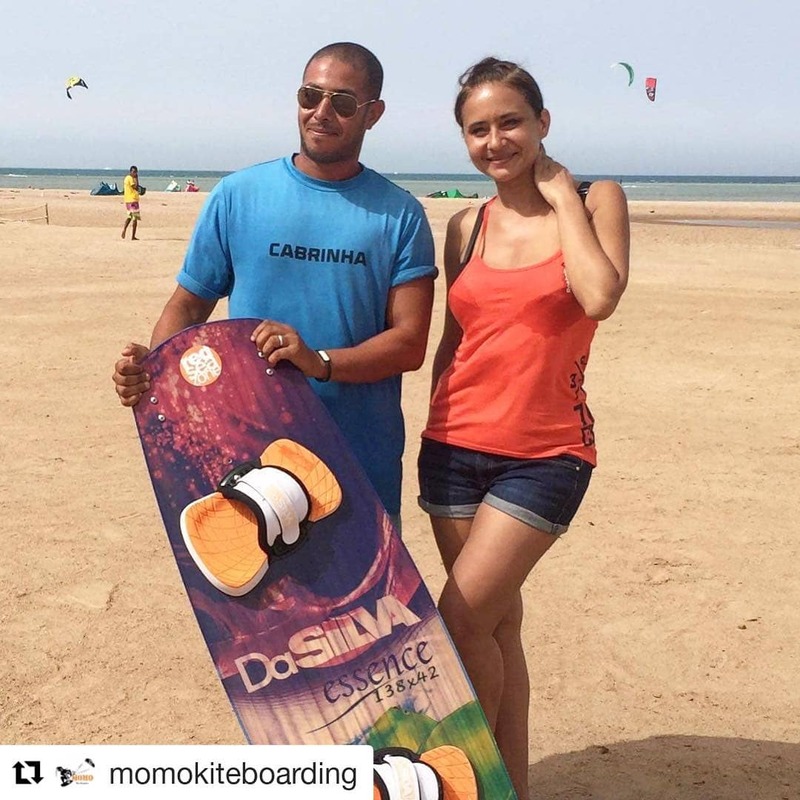 Thanks to Anthony from Kitesurfinglanka for providing these information. 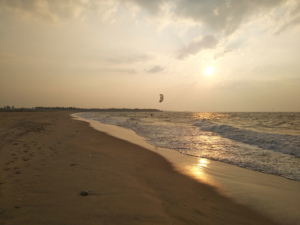 Below you find all spots on Google Maps and also a bit of description and awesome Videos provided by kitesurfinglanka describing all the places. Enjoy. 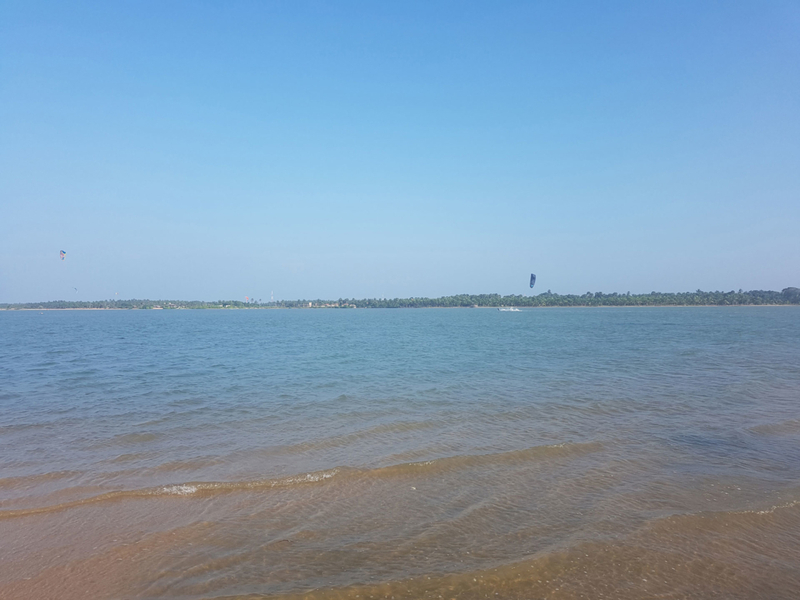 The main spot is Kalpitiya lagoon. The huge lagoon is flat and for riders and students. 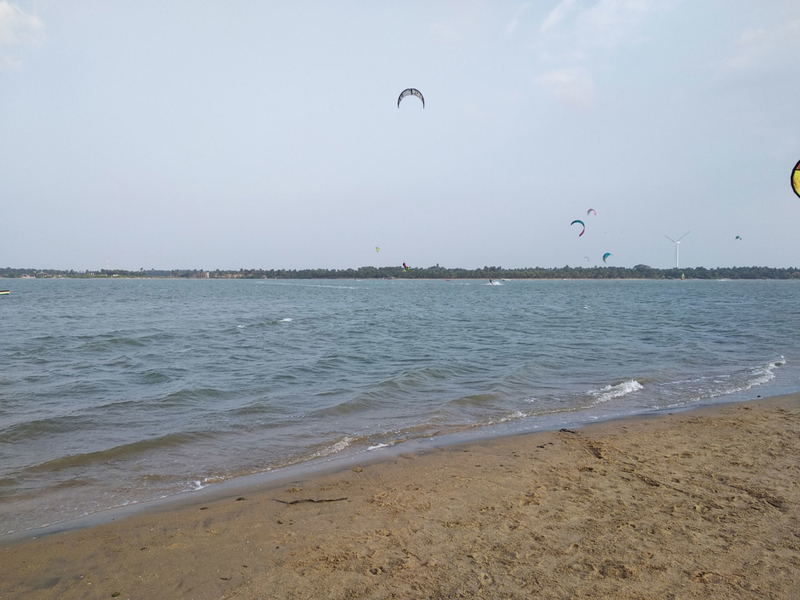 You can kite in the lagoon between 10am and 5pm when the schools operate. After 5 pm, the Kalpitiya lagoon should be only used by the local fisherman, but you can still continue riding in the indian ocean. I still need some kite-action spot pictures for this review, David didn’t make all that I needed :D (Sorry David). Do you have some of the spots described here and would share it with me to be published here? Please contact me at office@welovetokite.com. 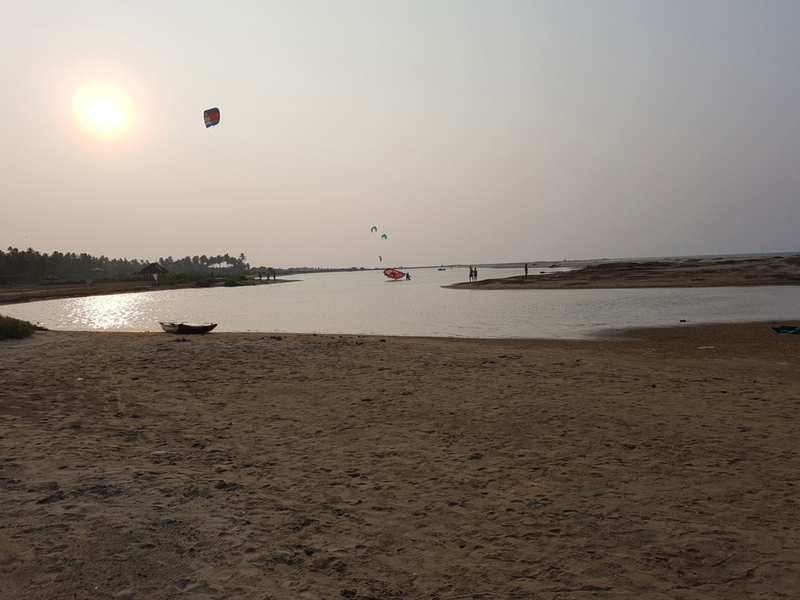 In the Kappalady lagoon you can ride in front of the camp which is butter flat water in a little lagoon. 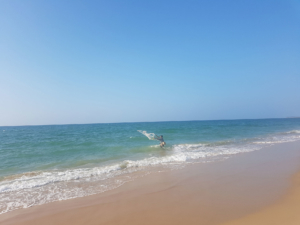 You can also play with the waves in the Indian Ocean. 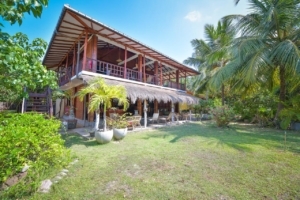 Vella Island is reachable by a beautiful kitetrip available during the season. 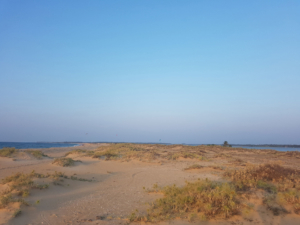 At Vella island where you can spend one or three days overnight camping. 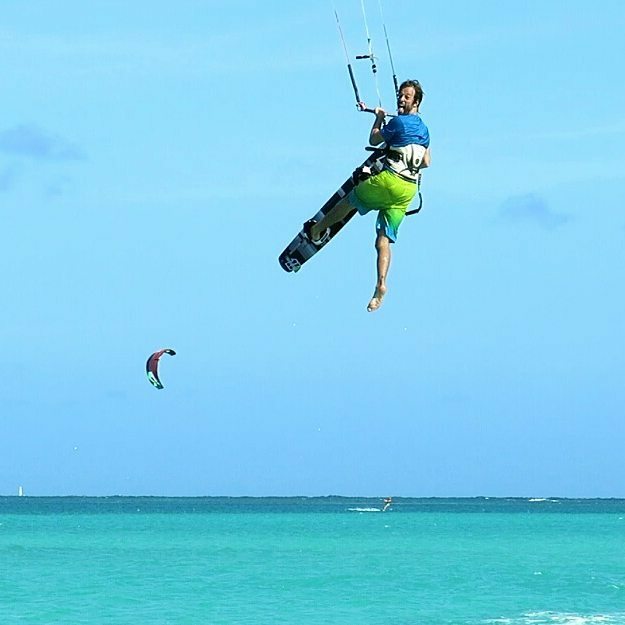 Composed of a 20 minutes downwinder. Kitelanka has details. Definitely worth visiting! 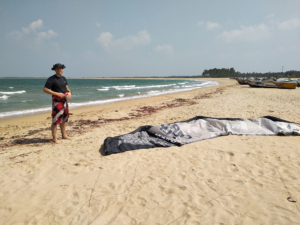 In Putalam lagoon you have flat water and can also make beautiful downwinder aroud 15 minutes. 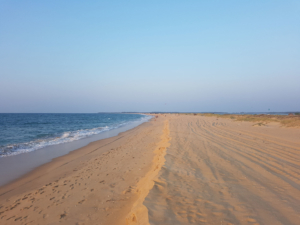 Donkey Point is a wave-spot close to the camp of kitelanka. Small piece of sand seperating ocean and lagoon. You have flat on one side and little waves on the other. Little drive from Kalpitiya Lagoon. This is also a flatwater spot like Vella, just smaller. Fly to Bandaranaike International Airport in the main capital – all the big airlines fly there. Do not forget to get your visa first, right after the booking of your flight. I would not recommend to rent a car by your own, as the traffic in Sri Lanka (especially in the bigger cities or villages) can get pretty chaotic. Better get a private driver (around 700 USD for 2 weeks) or just a taxi if you have your kite gear with you. 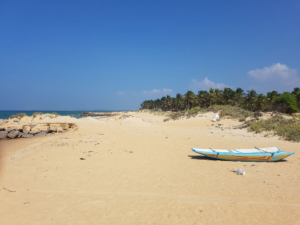 If you want to share taxis or just want to contact taxi drivers for an offer – use the inofficial facebook groups like “Sri Lanka Backpackers” (https://www.facebook.com/groups/905152259525547/ ) for that – just paste your request and some drivers will get in contact with you with an offer. If you want to travel the whole island and you are not having much luggage, go via public transportation. It is supercheap but you need more time of course, and it is not that comfortable most of the time – many persons are in the buses/trains. 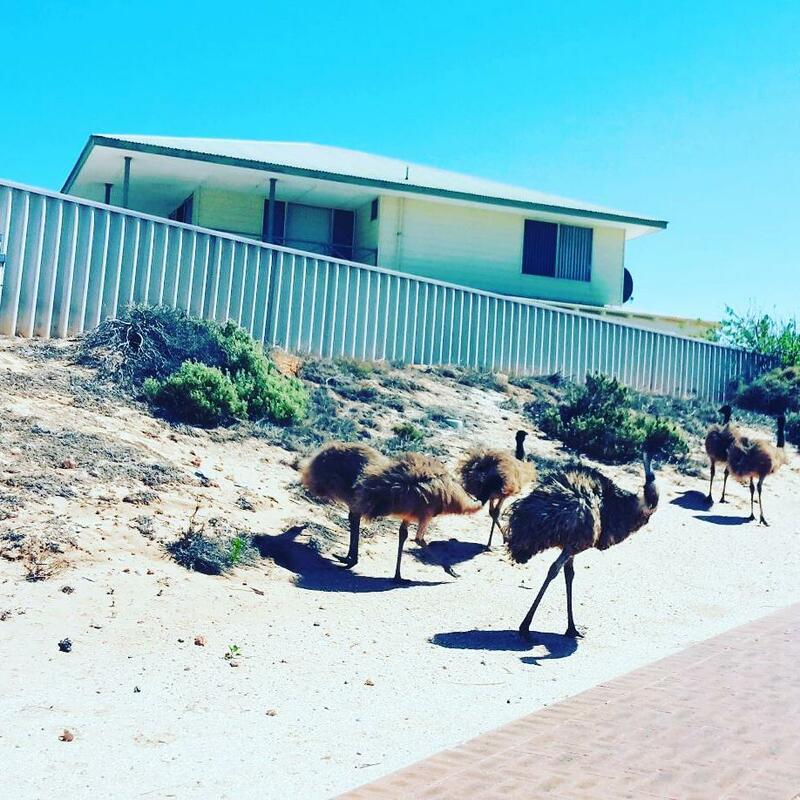 Local Life. If you want to rent a car anyways you can use the rental search here on the page. Compared to Europe the price level in Sri Lanka is cheap. 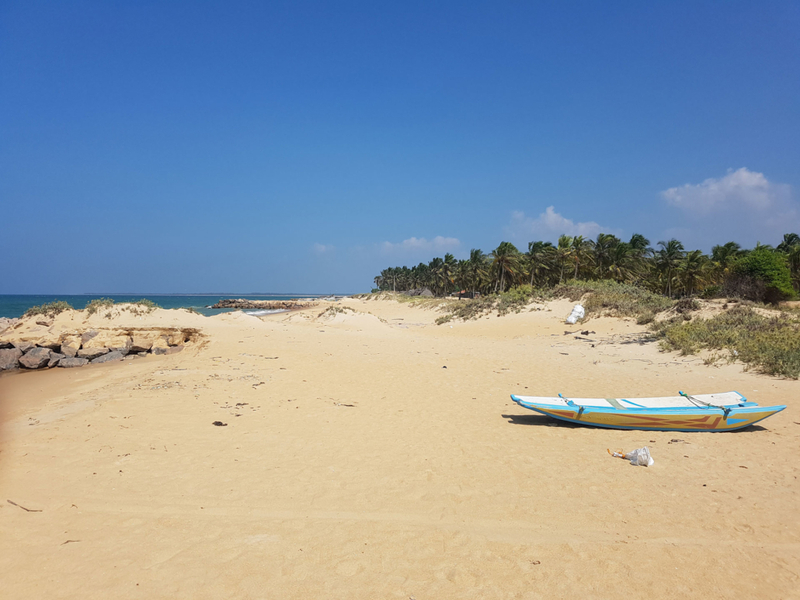 The whole country is easy to travel via public transportation (supercheap but you need more time of course), or hiring a driver for your own (around 700 USD for 2 weeks) – I would not recommend to rent a car by your own, as the traffic in Sri Lanka (especially in the bigger cities or villages) can get pretty chaotic. Normally you will pay around 10-20 EUR/person per night for a normal/basic accommodation double room (so when you have a second person). For a breakfast (which is sometimes included at the accommodation), calculate with 4 EUR. A lunch/dinner will cost you about 3-10 EUR, depending on what you want to pay, or what type of restaurant you want to have. In Kalpitiya generally prices are higher than in rest of Sri Lanka – I think because of the (currently) not so touristic amount of options the current level is a bit higher. 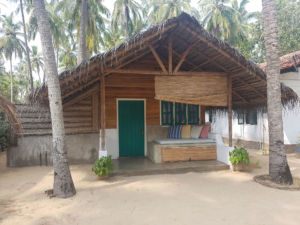 In the village Kalpitiya itself, you can get things cheaper, but there are not really many restaurants with European/western standard. Just get up in the morning and have some fine Sri Lankan breakfast, and then wait for the wind. 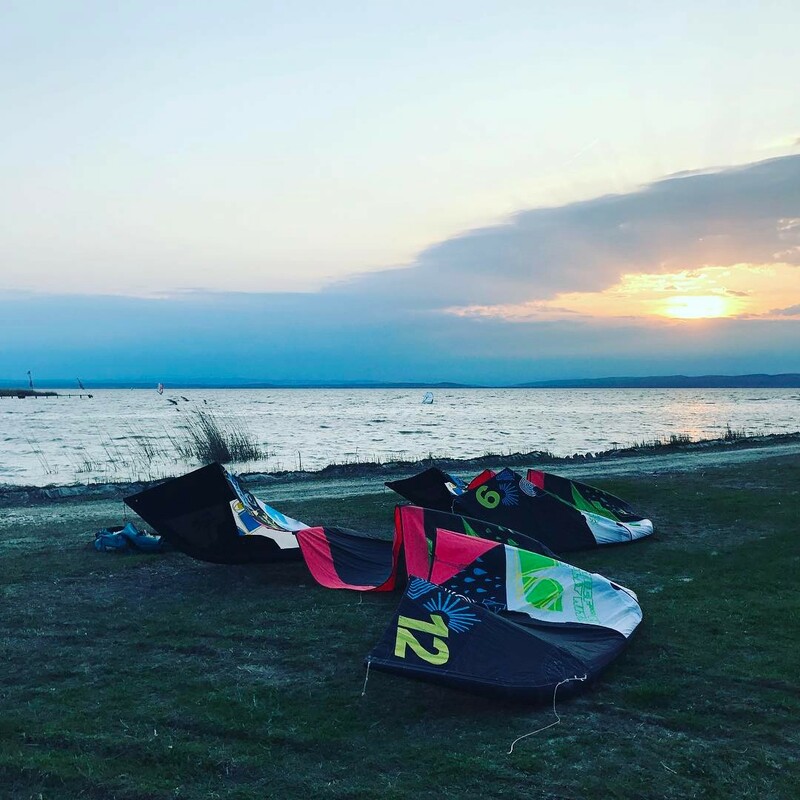 If you have to rent your kite equipment or you take some lessons, kiteschools usually starting working at 10 am and work till 5 pm. 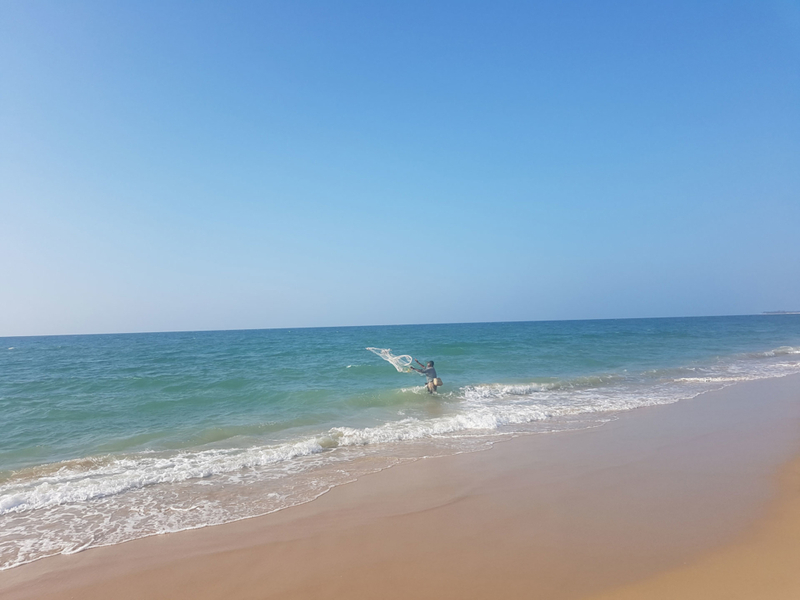 After 5 pm, the Kalpitiya lagoon should be only used by the local fisherman, but you can still continue riding in the indian ocean. After finishing you kite day, just have a nice relaxing meal at your hotel or kite-apartment, and relax. No big party going on here, just a few beers/cocktails if you want. 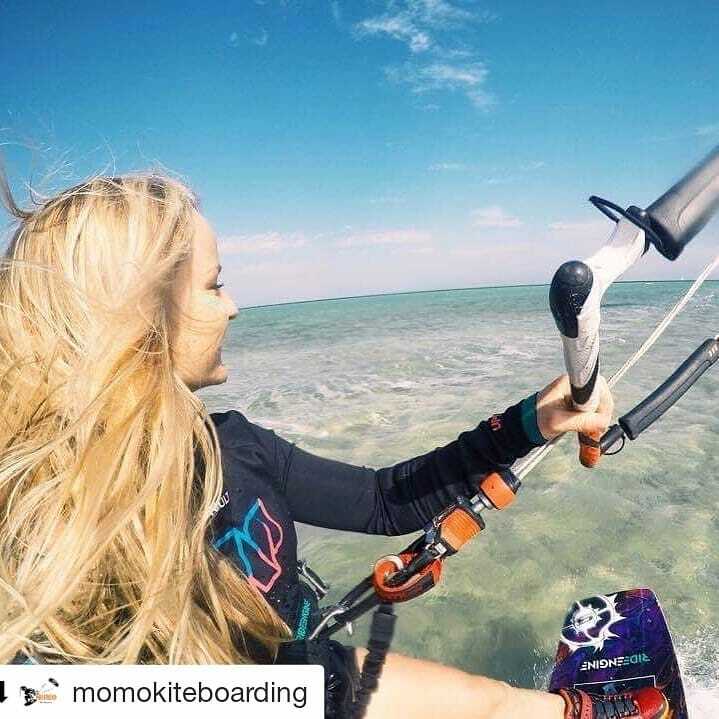 Kitesurfing Lanka: https://www.kitesurfinglanka.com/ – You can also stay at their place: >> see Accommodation here. 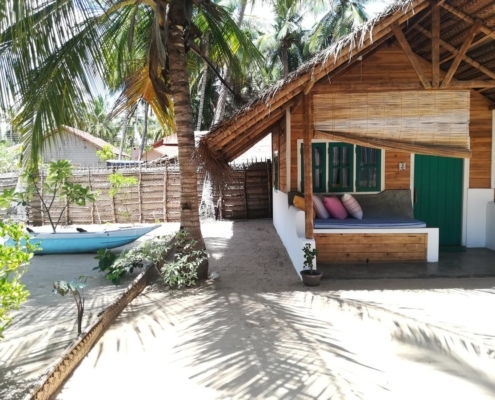 De Silva Windresort Kalpitiya: https://www.surfschool-srilanka.com/ – You can also stay at their place: >> see Accommodation here. 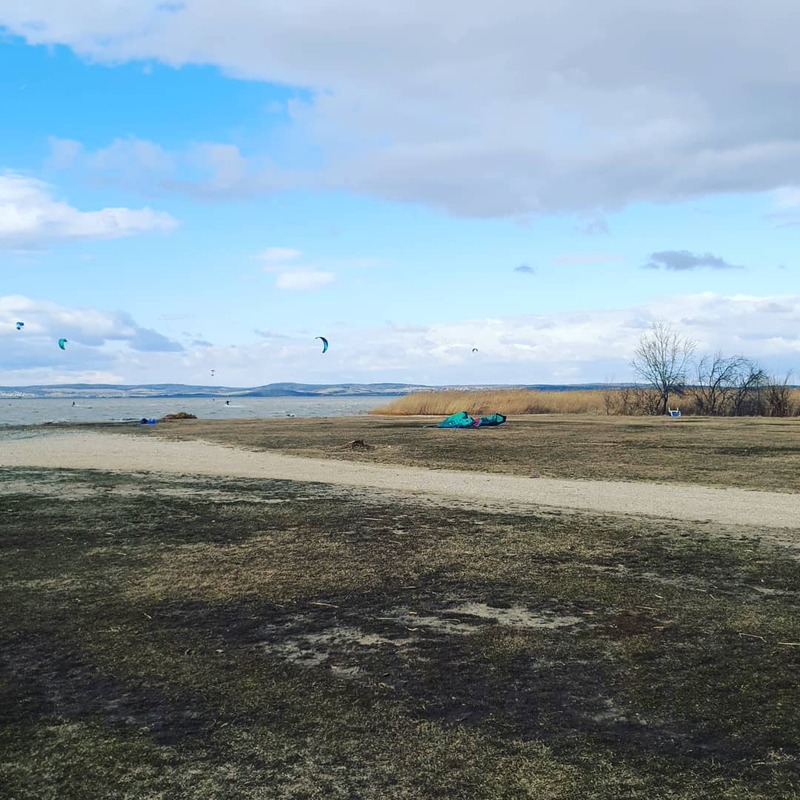 There are not that many kiteshops here – ask around at the bigger kiteschools, which also deal with kite equipment and other things. 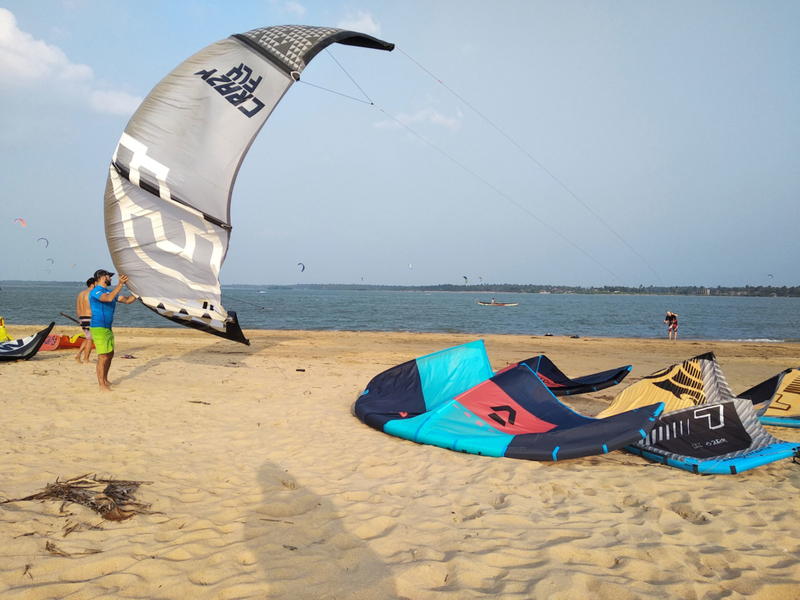 For example Kitesurfing Lanka at Kappalady Lagoon – In the camp they have all the materials, machines and spare parts to repair any kite in a professional manner. 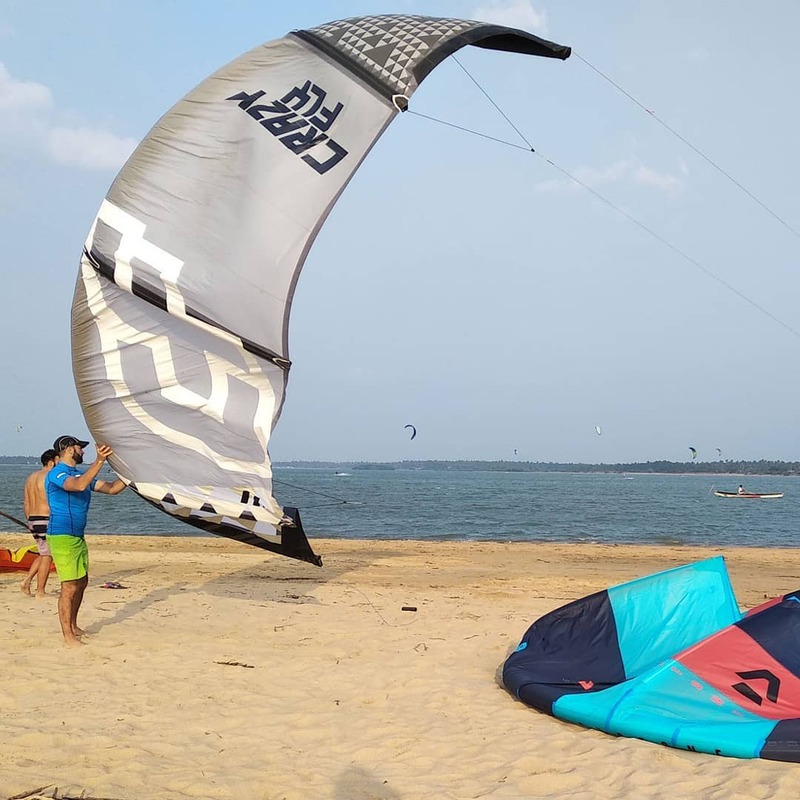 There is also a kiteshop at Srilanka Kite (sponsored by North / Duotone). 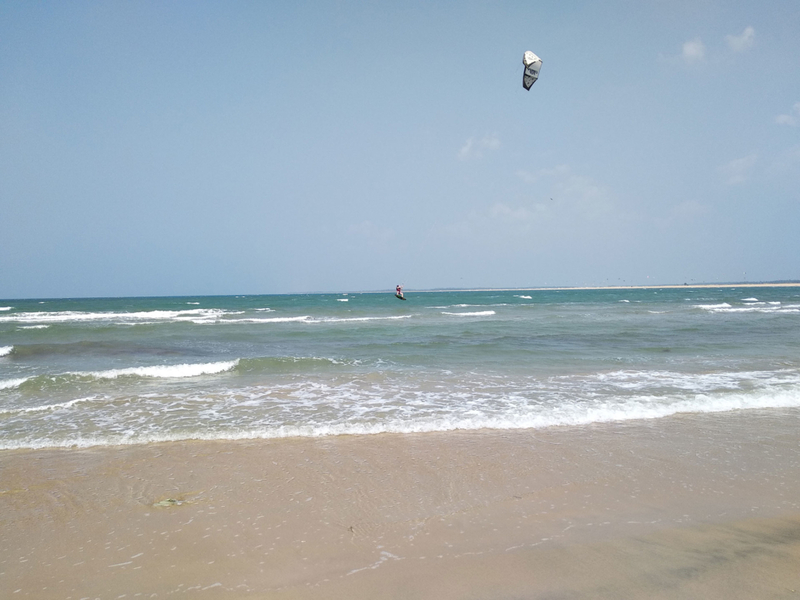 Not that bad going on there, even if I would not recommend you to go out in Kalpitiya town and really have “bad western habits”. 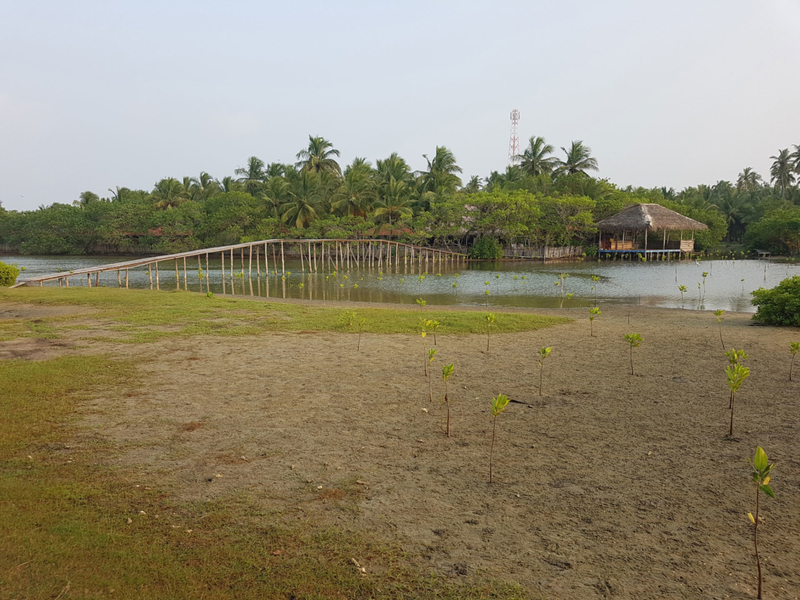 Just use common sense, as Kalpitiyia is a not that touristic town. It will cost you around 30 EUR/person. Of couse mosquitos is something I also have to mention – especially in the evening they are quite painful, but you can stop them biting you with a normal mosquito spray, which you can buy in every little supermarket. 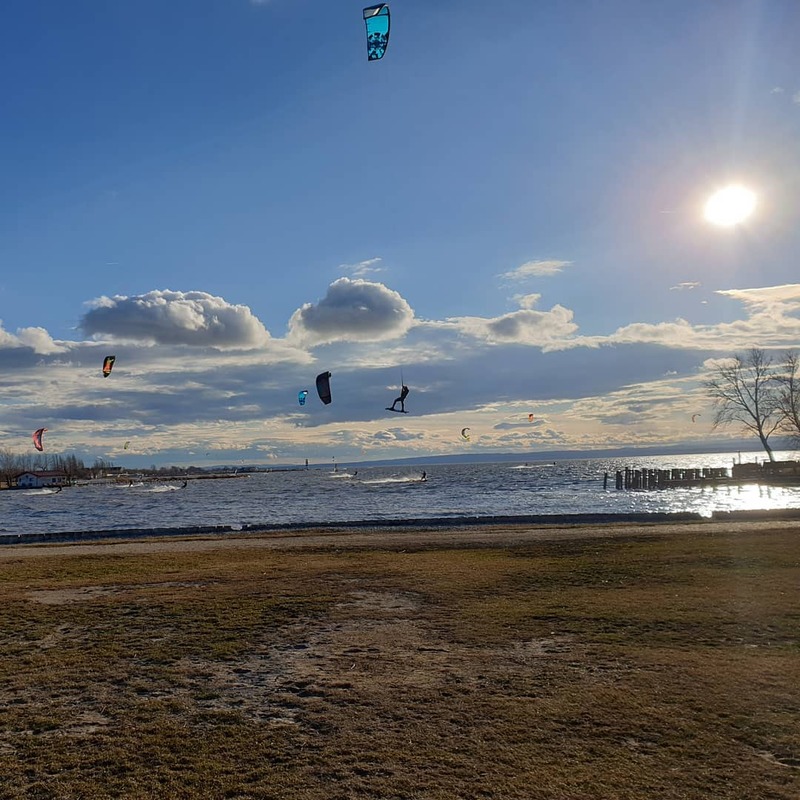 If you have no wind – visit some national parks here (you can find amazing animals here, nice wildlife) or do a whale watching or dolphin tour. For me the bigger cities like Colombo or Kandy were not nice to visit – so definitely would avoid them, just heading anywhere else (f.e. to the beautiful south). If you know more, let me know at office@welovetokite.com! Thanks! 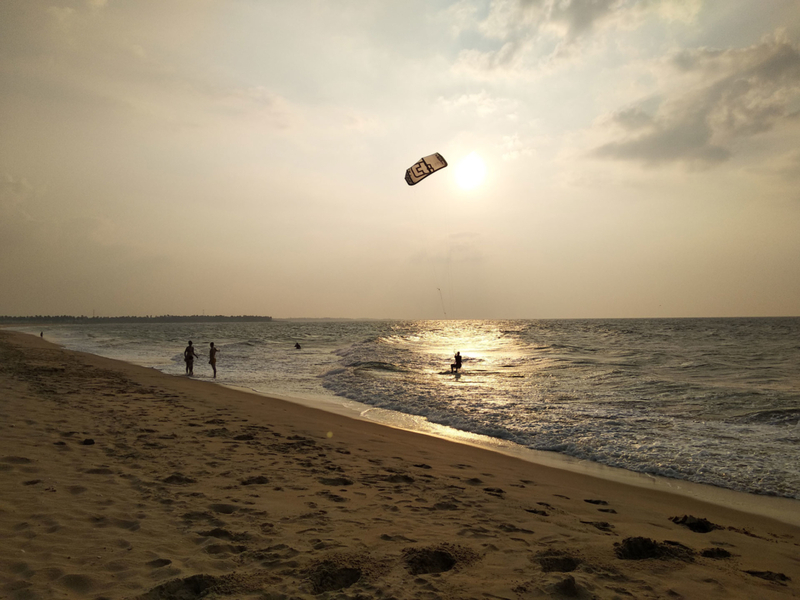 Here you see also Clips of Kitesufing Sri Lanka giving a good impression of how it is over there. If you have a question about Kitesurfing in Kalpitiya – Sri Lanka and your question is not yet answered, check if there is already something about it in our Kalpitiya – Sri Lanka – Kiteboarding Forum. Or ask directly a question there, or here with the form below.